Last Summer we gave the Columbia Conspiracy shoes a try and gave high marks for their lightness and grippy Omni-Grip "microlug" tread design. 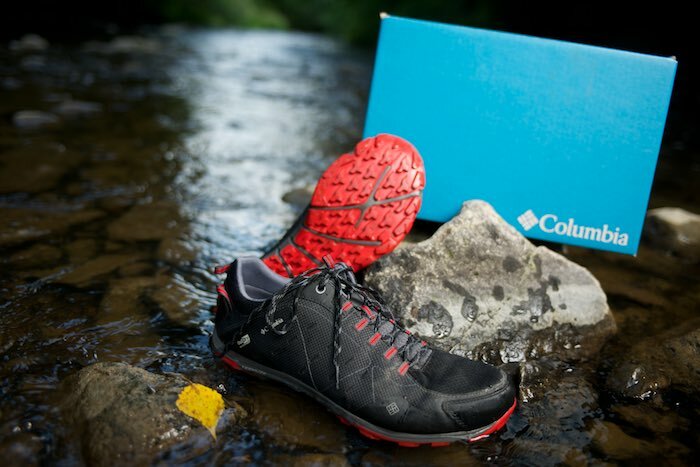 The technology that went into these Trail Running shoes has been integrated into other lines this year, so we figured the Columbia Conspiracy Razor OutDry would be a sure bet. Sure enough, we found the same quick break-in period along with the extra bonus of a very comfy footbed. Hikes with these lightweight shoes were always enjoyable, and the versatility meant that I was wearing them from urban hikes to deeper woods day hikes. Your eyes don't deceive you, these shoes float on water under their own weight (A Size 9 1/2 pair weighs 316 grams). Combined with their welded construction and Out-Dry waterproofing system, I never had an issue with soggy trails seeping into my socks. The only thing I would caution is that if you were to submerge your foot in water however, I found that these shoes do take a while to dry out. With the carry-over of the great Omni-Grip sole, traction was also consistently solid whether it was going up-hill or descending. Their low-profile and flexibility also means that they would perform well as a multi-sport shoe ready for your next adventure. Head over to Columbia to check out these great shoes, that really don't care what the Summer weather will bring and are also available in a women's style as well.